United Launch Alliance, criticized by would-be competitor SpaceX for high costs and reliance on Russian rocket engines, ratcheted up its counter offensive Wednesday, detailing a company initiative to explore potential U.S. engine replacement options and unveiling a new ad campaign to "illuminate the contrast between ULA and SpaceX" and counter "an enormous amount of misinformation." "The whole tenor of the campaign is to make perfectly clear there's a lot at stake when it comes to successful space launches," Michael Gass, ULA's president and CEO, told reporters during a teleconference. "Literally, lives are at stake. "We also want to make it clear there's a big distinction between a company that has over a hundred years of (combined) experience and heritage and successfully delivering satellites to orbit versus a company that is not yet even certified to conduct one EELV-class (military) mission." United Launch Alliance is a partnership between Boeing, builder of the Delta family of rockets, and Lockheed Martin, builder of the venerable Atlas family of launchers. Atlas 5 and Delta 4 rockets were independently developed for the Pentagon's Evolved Expendable Launch Vehicle -- EELV -- program to provide "assured access to space" for spy satellites and other national security payloads. ULA also provides rockets for NASA science probes. Newcomer SpaceX is attempting to capture a share of the military launch market with its upgraded Falcon 9 version 1.1 rocket. Required Air Force certification is expected, but the process is not yet complete. The company met the major requirement of three successful launches in a row for the version 1.1 booster earlier this year, but a lengthy data review is still underway. That did not stop SpaceX from filing a federal complaint earlier this year challenging an Air Force sole-source block-buy contract that calls for ULA to provide 36 rocket "cores" that will make up 28 launch vehicles. SpaceX argues certification is required for military launches, but not for contract consideration. Gass said Wednesday the SpaceX challenge is "baseless." "First, ULA is the only certified launch provider that meets all of the unique EELV requirements," he said. "That is the case today, when the RFP (request for proposals) went out in 2012 and when the contract was signed in June of 2013. So let me repeat: SpaceX was not a viable competitor when the RFP went out in 2012." He said the RFP "clearly stated that the government would commit to acquiring up to 40 (rocket) cores ... from ULA. If SpaceX intended to protest, that was the time. However, they did not have the standing to protest because they were not certified to compete nor had they conducted even one launch towards certification." "SpaceX is only trying to get from the courts what it was not eligible to receive during the normal acquisition process," Gass said. "They are in essence saying 'change the procurement rules for me.'" Asked for comment, SpaceX spokesman John Taylor told CBS News in an email that "ULA doesn’t believe in competition. Monopolists never do. In ULA's case, it would rather call a press conference to announce an inside-the-Beltway lobbying campaign aimed at distracting lawmakers from the benefits competition brings to the marketplace: better technology, improved reliability and affordable prices." Taylor said ULA is "wholly reliant upon its Russian business partner and in doing so, it has cost the U.S. taxpayers billions and jeopardized the country’s national security." 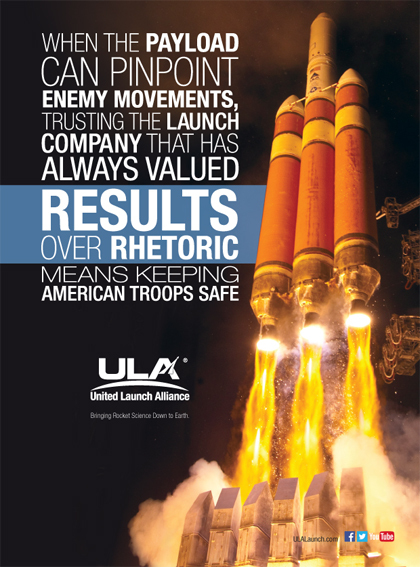 "Faced with those facts, ULA’s now seeking to convince Congress to bail out the company’s bad business decision and it's criticizing a competitor for pressing the only real solution to the mess they have created -- fair and open competition to national security launches." The ULA Delta 4 uses hydrogen-fueled engines built in the United States by Aerojet Rocketdyne while Lockheed Martin's Atlas 5 relies on the kerosene-powered Russian-built RD-180 for first stage propulsion. The RD-180, one of the most powerful engines in its class, is built by NPO Energomash and sold to ULA by AD AMROSS, a partnership between Energomash and Pratt & Whitney. Lockheed Martin's decision to use the RD-180 dates back to 1994 when U.S. policy makers encouraged ties with post-Soviet Russia as a diplomatic initiative. The original plan called for development of U.S.-based co-production facilities for the RD-180, but funding never materialized and the engine remained a purely Russian product. As a hedge against possible political problems that might interrupt engine deliveries, ULA maintains a stockpile of RD-180s in the United States. But the RD-180's use in the Atlas 5, which launches critical national security payloads, has come under fire in the wake of Russia's annexation of Crimea and the SpaceX lawsuit challenging the ULA block buy military contract. The complaint also alleges the purchase of RD-180 hardware may violate Obama administration sanctions imposed in the wake of Russian actions in Ukraine. SpaceX founder and chief designer Elon Musk has even suggested the Atlas 5 should be discontinued. As it happens, SpaceX also is competing with Boeing and Sierra Nevada to build a commercial crewed spacecraft for NASA to ferry astronauts to and from the International Space Station. The spacecraft being designed by Boeing and Sierra Nevada would use the Atlas 5 while the SpaceX capsule would use the company's Falcon 9. In any case, the RD-180 controversy has steadily escalated. Dmitri Rogozin, Russia's deputy prime minister for space and defense, is on the Obama administration's sanctions list and was mentioned in the SpaceX complaint, which implied he may have personally profited from RD-180 sales to ULA. Rogozin angrily denied that via Twitter and went on to say Russia would forbid the use of RD-180s for launching U.S. military payloads. He also said Russia was considering pulling out of the International Space Station project in 2020, well ahead of NASA's goal of operating the outpost through at least 2024. "We proceed from the fact that without guarantees that our engines are used for non-military spacecraft launches only, we won't be able to supply them to the U.S.," Rogozin said in the Interfax report. As for ULA's inventory of engines already in the United States, Rogozin suggested Russian technicians would not be allowed to service already delivered hardware if military payloads are involved. But so far, Rogozin's threats are just that, and his sarcastic tweets have not turned into official Russian policy. But the increasingly bitter rhetoric has fueled widespread concern in the United States and a growing consensus that the nation should build a new engine that would end reliance on the Russian hardware. A Pentagon study recommended development of a U.S. replacement engine, but experts said it could take more than five years to design, test and build and cost up to $1.5 billion. The House and Senate have both included funding in fiscal 2015 appropriations proposals to kickstart new engine development. The Obama administration, in a Statement of Administration Policy on the fiscal 2015 defense appropriations bill, said this week it objects to an unrequested $220 million in funding proposed by the House of Representatives, saying it "prematurely commits significant resources and would not reduce our reliance on Russian engines for at least a decade." The SAP said the administration is still "evaluating several cost-effective options including public-private partnerships ... that will drive innovation, stimulate the industrial base, and reduce costs through competition." ULA currently has 15 RD-180 engines in the United States, enough for Atlas 5 flights over the next two years or so. Gass said ULA has 29 more engines on order and that NPO Energomash, at ULA's request, is accelerating deliveries. Two RD-180s are expected in August and three more in October. Six and possibly eight engines are expected in 2015 with eight per year after that. ULA announced on Monday that the company was investing in initial studies of alternative propulsion technology with the long-range goal of developing a U.S.-built alternative to the RD-180 before the end of the decade. Gass said ULA would continue using RD-180s in the meantime and praised the engine's flawless track record. "It's important to know we are operating as business as usual as it relates to the imports of the RD-180," Gass said. "We have not received any direction from our supplier or from anybody in the U.S. regarding deliveries of the RD-180." The RD-180 "has to be considered a success story, both from a U.S. national security perspective and indeed from its technical achievements," Gass said. But "given the turmoil in the Ukraine, we ... believe it's the right time for domestic investment, which is why we announced on Monday we're supporting new engine studies with multiple companies." The options include designing a new state-of-the-art engine with or without direct government investment or even building facilities to manufacture RD-180s in the United States. It is not yet known how much either option might cost to implement. But Gass made it clear ULA plans to do whatever is necessary to maintain the company's two rocket production lines. "All the options are open," he said. "We're off accelerating Delta production to make sure we have that as a ready backup, we're accelerating deliveries of RD-180 engines, and our Russian partners have agreed to that so we can increase our safety stock. And we're looking at improvements in the Delta system as well." With the U.S. government considering investments in new engine technology, "ULA wants to be in a position to support that endeavor in an expeditious manner with the best business solution," Gass said. "So from our perspective, we're covering all bases and putting plans in place to cover any potential outcomes. We're fully committed to putting in place a near-term, mid-term and long-term plan to continue to launch our reliable Atlas 5 into the next decade and beyond."